All of us at Manx Radio were deeply saddened to hear our friend and former colleague Suzy Richardson had passed away. 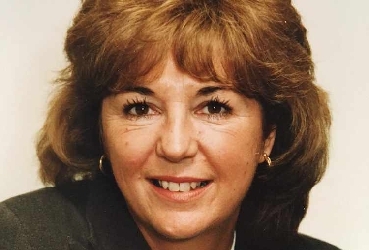 Suzy started her career with Manx Radio in 1972 and was one of our most popular presenters for over thirty years. Best remembered for hosting the long running “Swap Shop” programme, she presented a variety of different programmes over the years and was extremely popular thanks to her warm, inviting and relaxed style. In 2014, Suzy joined us on air for our 50th anniversary celebrations and told many stories of her days at the radio station – reminding us of her bubbly personality and wonderful sense of humour. She passed away on Friday at Hospice Isle of Man. Suzy was a much loved member of the Manx Radio family and will be sorely missed. All of us here at Manx Radio send our thoughts and sincere condolences to her family and friends.